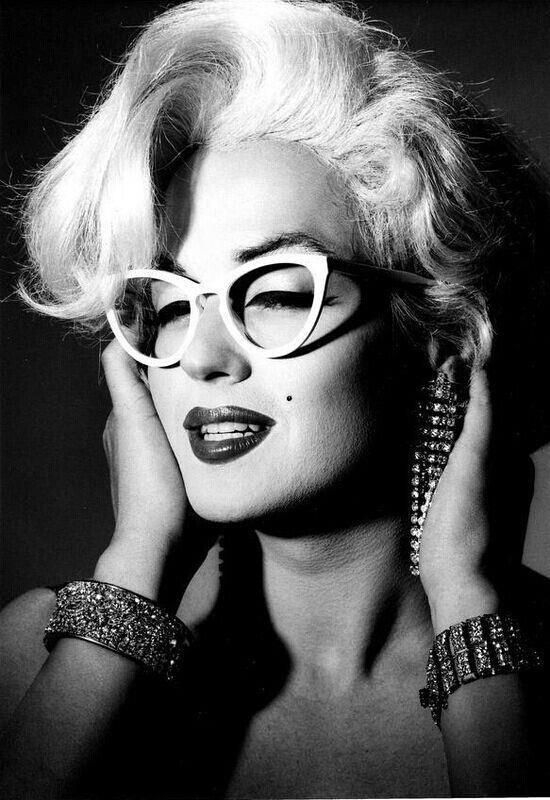 Ok, let’s discuss a subject I’m passionate about – cat eye glasses. They’re my very favourite shape, they’re always fashionable and they suit so many different faces! 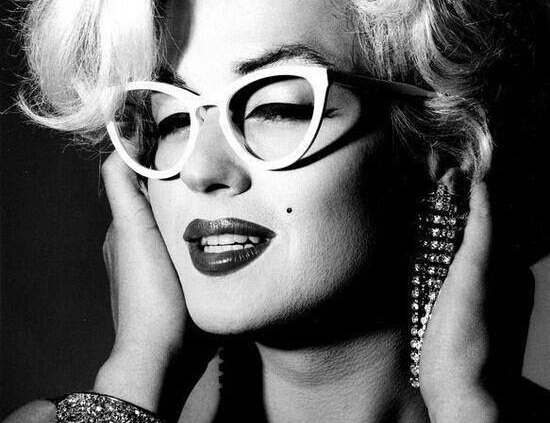 Cat eye glasses gained popularity in the 1950’s and 60’s, with stars such as Audrey Hepburn and Marilyn Monroe showing them off to perfection. They look feminine, fun and sophisticated. 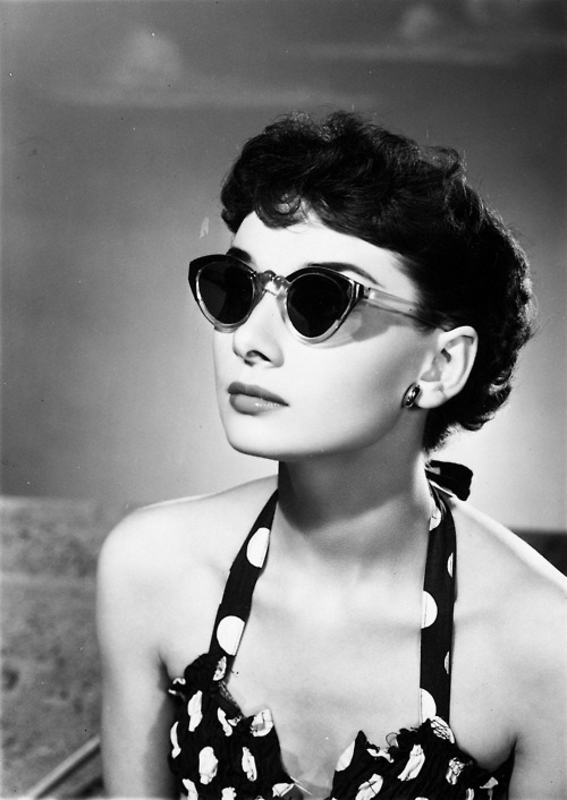 Though bug-eyed glasses became the thing during the following decades, cat eye glasses never completely went away, and in recent years have boomed in popularity. They’ve maintained the same basic shape but with a more contemporary feel – think less Dame Edna and more Jennifer Lopez. 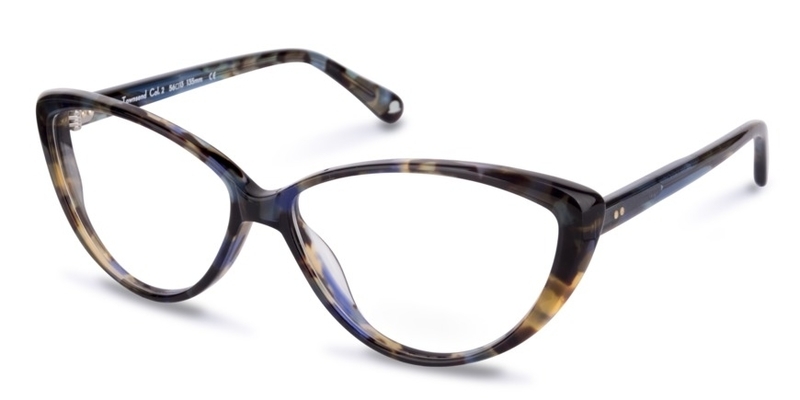 What I love about cat eye glasses is how flattering they are – if you are blessed with good cheekbones they accentuate them, if you have a round face (like me) they add angles where there weren’t angles before, they soften a heavier jawline – they uplift your face and look gorgeous! The Townsend by Walter and Herbert is a perfect example of this classic shape with a modern twist; softer edges, a blue mossy acetate and a gentle uplift make them unmistakably cat eye glasses but in a less dramatic 60’s way. If you want to go a bit retro, Rusicka by Vinyl Factory are perfect. Rose gold with detailing on the bridge and temples, glossy black wings and VF’s trademark guitar-shaped arms make this a rock n’roll beauty! They’re one of my favourite pairs in the shop so I highly recommend trying them on when you pop in. Both these lovely frames and more are available at North, come in, say hello and try some on.